Municipal wastewater contains bacteria, viruses, and other pathogens that adversely affect the environment, human health, and economic activity. One way to mitigate these effects is a final disinfection step using ultraviolet light (UVL). The advantages of UVL disinfection, when compared to the more traditional chlorine, include no chlorinated by-products, no chemical residual, and relatively compact size. The design of most UV reactors is complex. It involves lamp selection, power supply design, optics, and hydraulics. In general, medium pressure lamps are more compact, powerful, and emit over a wider range of light than the more traditional low pressure lamps. Low pressure lamps, however, may be electrically more efficient. In UV disinfection, the fraction of surviving organisms (e.g. E. coli) will decrease exponentially with increasing UV dose. However, the level of disinfection that can be achieved is often limited by particle-associated organisms. Efforts to remove or reduce the effects of wastewater particles will often improve UV disinfection effectiveness. 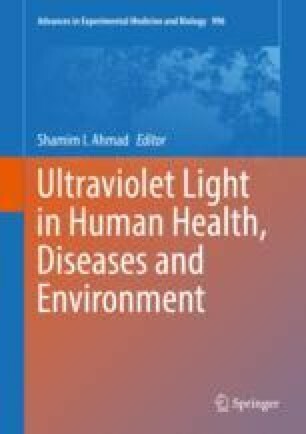 Regrowth, photoreactivation, or dark repair after UV exposure are sometimes cited as disadvantages of UV disinfection. Research is continuing in this area, however there is little evidence that human pathogens can photoreactivate in environmental conditions, at doses used in wastewater treatment. The UV disinfection of combined sewer overflows, a form of wet weather pollution, is challenging and remains largely at the research phase. Pre-treatment of combined sewer overflows (CSOs) with a cationic polymer to induce fast settling, and a low dose of alum to increase UV transmittance, has shown promise at the bench scale.